Guntur is a city and municipal corporation in the state of Andhra Pradesh. It also serves as head quarter of the district of the same name. Guntur gets its earliest recorded reference from the Indren plate of Ammaraja the Vengi Chalukyan king who ruled the region during 922 to 929 CE. The city also gets its reference in the inscriptions which date back to 1147 and 1158 CE. Garthpuri was the original Sanskrit name of Guntur. 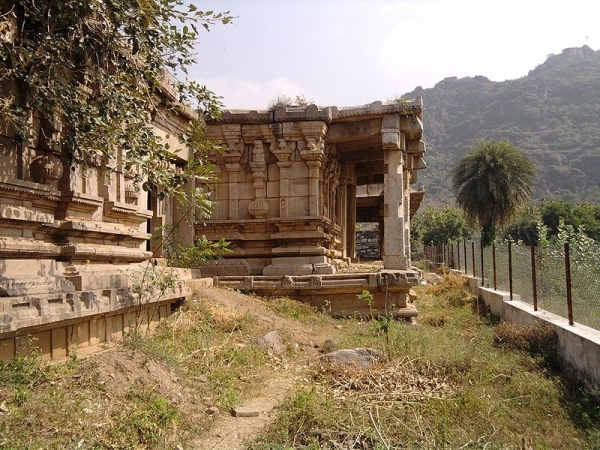 Agasthyeswara Sivalayam is temple of Shiva situated in the old city of Guntur. The temple is most famous temple in Guntur and houses inscriptions in Naga scripts which dates back to 1100 CE. After the arrival of Europeans, Guntur rose to prominence. In 1752 the French moved their head quarter from Kondavid Fort to Guntur and established their settlement there. This settlement later on formed the center of modern city. Nizam and Haider Ali ruled Guntur and surrounding region until 1778 when the region came under the rule of British. Guntur was made a district which was abolished in 1859 only to be reconstituted again in 1904. The city witnessed the railway track being laid in 1890 under the British rule. British continued to rule Guntur until the independence of India in Aug-1947. Post independence era witnessed large scale development in the city. Guntur is at present the fourth largest city of Andhra Pradesh.